There's nothing like a trip down Memory Lane! 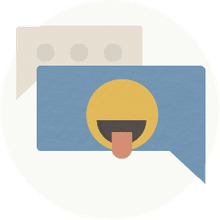 Looking through old family photos can be fun, in a nostalgic kind of way, even if your childhood memories often appear super awkward in retrospect. Adults taking their awkward baby and childhood photos and recreating them, down to the last, cringe-worthy detail, has become a very popular (and very funny!) trend on the web. There's no shortage of recreated childhood photos out there, but here are 20 of the very best of the bunch. Childhood and adolescence seem to be universally gawky stages in most peoples' lives. Sometimes the things we did when we were young don't exactly translate well to our adult selves. Some things never change, and thank goodness for that. Commitment to the gag: We have a winner! Somethings are cute when you are five... but not so cute after that. She really nailed that quiet "I'm secretly drowning in the sand!" facial expression, both then and now. It's the simple things in life! Stop saying she's "easily amused" like it's a bad thing. Some brothers and sisters immediately regress when they're together in the family home. Others never bother to grow up in the first place. Fly high, little bowl-cut dude. Someday you'll grow into a soaring-eagle adult bowl-cut dude. Namaste. Over ten years later and they're still pretty adorable, right? Those surly facial expressions! Talk about your awkward family Christmas photos... Years later and their daughter is still openly hitting the bottle like that. Sad. "My, you've gotten to be really heavy-- er, big boys," Santa said with a grunt. Ah, youth. The promise of a new day. "When did my baby grow a beard?!" Aw, look at the little angel. Shh, let's not wake him. This picture gets funnier the more you look at it. Every single person brings something to the table. Look at these two joyful brothers! They're just the most cheerful little tykes ever. Everybody said they'd outgrow this habit... but here we are. 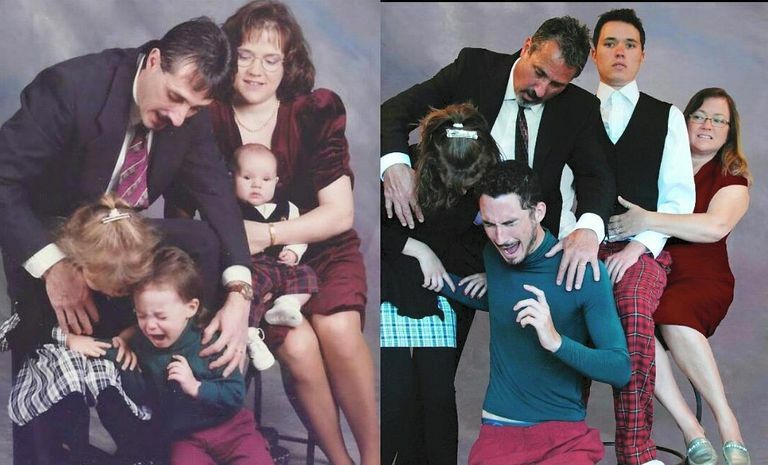 This family took what was already a fantastic awkward family photo and brought it full circle. The chaos, the crying, and the general mayhem captured by this pic are classic. The grown-up baby sitting stiffly in the center is the cherry on top. "I Need to Pee, Mom"
Well, that was unexpected... It's a good thing they stopped at three sons or the next one would be a giant. Whoa, how long was that nap?! This is some straight up Rip Van Winkle stuff. All these years later and this family still doesn't understand how posing for a photo works. You look AT the camera all at the same time, folks! Remember? *Sigh* Maybe they'll figure it out in another 10 years.